Shorter, Sweeter, Better. – Write with us! In talking with a friend about the trial-and-error process that is teaching young students how to embrace the writing experience as positive, I’ve come to the conclusion that encouraging the breaking of “writing rules” is one of the most successful techniques I’ve employed in my two summers working with TT Patton’s junior writers. Long story short, make your students think writing is scandalous, rebellious. It sounds more involved than it is. Haikus strike younger writers well–they’re simply shorter, sweeter, better. Note the scandal–line three has only FOUR syllables. The emphasis the haiku places on commonplace nature and the everyday experience resonates well with age groups that haven’t spent years studying humanity or philosophy, and the three-line structure is lyrical and short enough to hold even the most fidgety writer’s attention. So, when attempting to make Basho seem like a rebel, it is important to first lay out the “haiku rules”–the 5-7-5 syllable count, that is. Then, explain the way Basho chose to manipulate this structure..adding syllables, or dropping them, even writing four-line haikus (sure, most of that was the translation to English than Basho’s choice, but still). Following, encourage the students to try their hand at one–pick something easily taken for-granted in nature, and write a haiku, but break the rules, however they’d like. I couldn’t say exactly why, but the sense of rebellion instills a fresh enthusiasm for poetry that’s sometimes difficult to extract from students who feel stifled by poetic form. 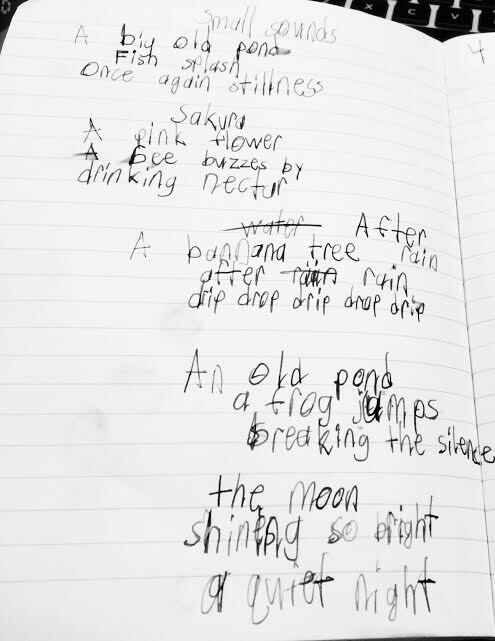 4th grader, Jacek, is one such camper, who composed lovely pieces after embracing rule-breaking haikus inspired by Basho’s. 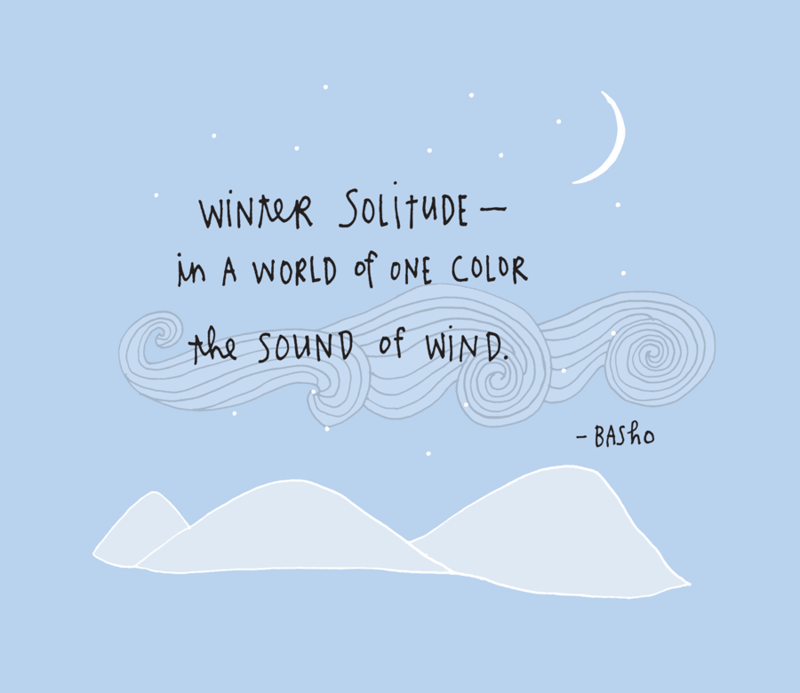 If you’re hunting for samples of simple haikus to share with your own young writers, take a look here.